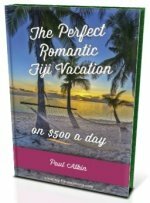 Want to know more about Treasure Island Fiji? 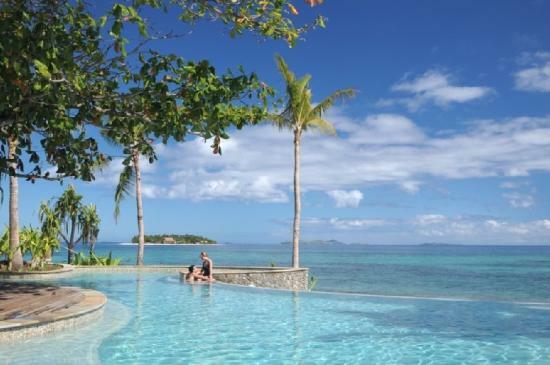 Discover one of Fiji's most iconic island resorts where the island and the resort are one. - Who does Treasure Island suit? Suits families and couples wanting a mid-range remote 'island' experience. 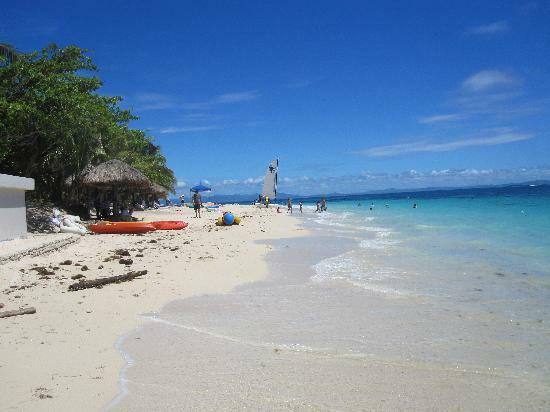 Treasure Island (Elevuka) is located in the Mamanuca group of islands, just 17km from Nadi International Airport. 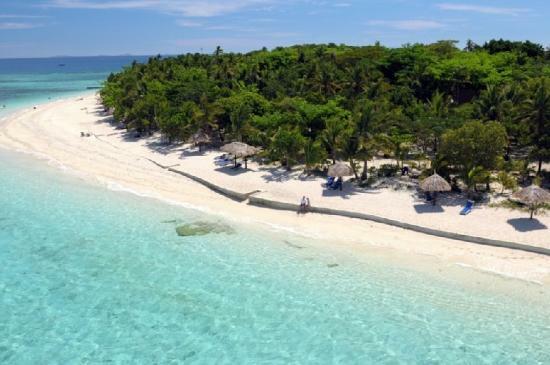 The tiny 6-hectare island is entirely covered by the resort and thus is also in our Top 5 Fiji Island Resorts list. It's a picture perfect white sand fringed tropical island. The resort was establish in 1972 and is one of Fiji's most long standing resorts. The usual and the much more economical transfer route is a land + sea option. First catch a 20-minute FJ$30 (approx.) taxi from Nadi Airport to Denarau Marina (Denarau Island). Then catch a South Sea Cruises boat which loops around the Mamanuca islands 5 or 6 times a day. For those with cash to burn, you can get a private water taxi to Treasure Island. This is also the option Treasure talks about as their after hours service on their website with return transfers per adult of FJ$500, which isn't cheap. A much cheaper alternative is to stay overnight in Nadi if you miss the last South Sea Cruises service. A fancy, scenic and very short (8 minutes) helicopter service is also available with Island Hoppers. Visit our Transport in Fiji section for details. Each are air-conditioned having a private balcony with outdoor furniture and hammock. Bures' positions range from absolute beachfront to 30 metres from the beach. Note accommodation is becoming dated and in need of renovating. Reports of standards being slipping over recent years which is evident in the reviews on TripAdvisor. Treasure, once an iconic Fiji resort, is falling behind other resorts. Treasure's restaurant offers pay-as-you-go or meal plans that must be paid before arriving. The adult 3-meal daily price is FJ$137 and the 2-meal daily price is $101.50 (currency converter). If you think this is a bit pricey for Fiji, you'd be correct. There are children menu's and meal plans. Also picnic hampers can be organised to take on an island excursion. It's Takia Bar serves cocktails and the like until midnight. Those on a budget might like to bring snacks and drinks from the mainland. Normally non-motorised activities such as kayaking, canoeing, paddle boarding, sailing, and paddle boating are complimentary at mid-range resorts in Fiji. Unfortuately, this isn't the case at Treasure Island Fiji. Treasure Island's Kids Club can look after your children for the day. It's open for children 3 years and up, and the activities are centred around the Kids' Club bure. 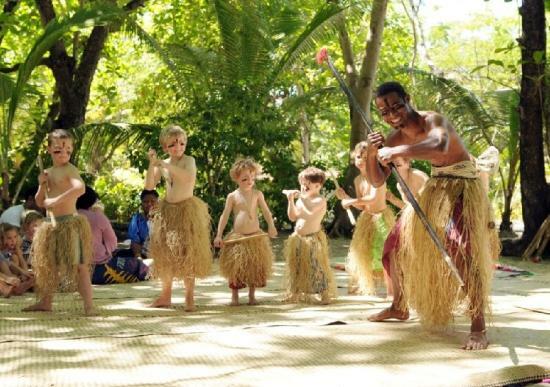 Children will enjoy a variety of activities including getting a taste of the environmental and cultural side. 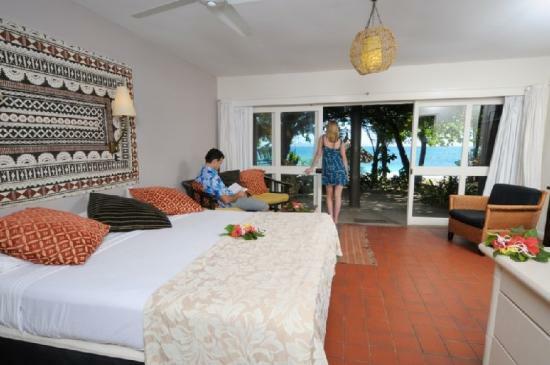 Rates start at around FJ$570 per bure per night. There are limited activities included in the price. This doesn't include transfers or food.